Electromagnetic vibrating feeders are equipped with electromagnetic drives which generate vibrations required for conveying of material. 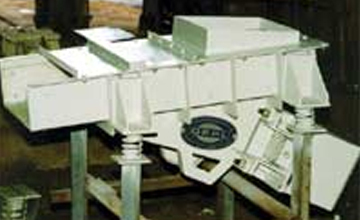 The electromagnetic drives are robust in construction with very high reliability factor. 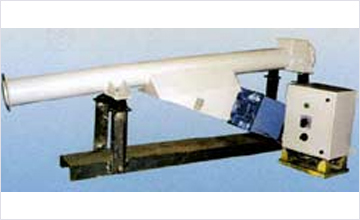 These conveyors come with a specially designed controller required for operation of the electromagnetic conveyor. These controllers convert the input AC supply voltage into pulsating DC output which results in generation of vibrations. A thyristor such as a silicon controlled rectifier is used for this purpose. The fringe angle of the SCR can be varied sleeplessly using a potentiometer or an analogous electrical signal / PLC signal from an external command variable unit, which in turn increases / decreases the amplitude of vibrations thereby controlling the output of the conveyor as required. As in the case of electromechanical feeders depending on the material conveyed, the conveyors can be supplied on two types viz, through type and tubular type. Suitable liners in case of through conveyors are provided where severely abrasive materials are handled as in the case of electromechanical conveyors.